If you're looking for a handy action camera with a friendly price tag, then the Camlink CL-AC20 is a great option. 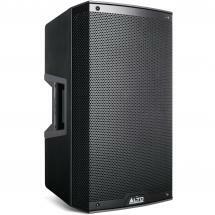 It records in full HD (1080p) and can be used just about anywhere thanks to its complete accessory pack. It features Wi-Fi functionality for wireless streaming to your smartphone so you can see what you're filming at all times. The internal memory of this camera is 1 GB, but it can be expanded to 33 GB by means of an SD card. Using the included USB cable, you can recharge the battery in a flash. 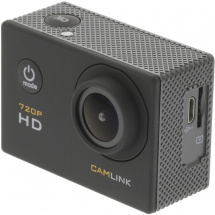 As mentioned previously, you can film in full-HD quality with the Camlink CL-AC20, but also in HD (720p, 60 fps). Either way, you can count on razor-sharp videos and photos. The 5 megapixel camera and 120-degree fixed lens angle enables you to capture a large area for impressive action shots. Thanks to the integrated Wi-Fi functionality, you can use the free app (compatible with both iOS and Android) and see exactly what you're filming on your smartphone or tablet. 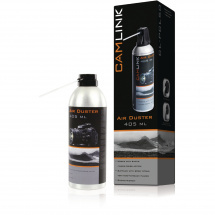 As well as the video camera itself, the Camlink CL-AC20 comes with some practical accessories including a water-tight transparent case to protect the camera from elements like water, sand, and dust. If you want to keep your hands free while filming, the Camlink comes with various mounting kits. You can wear it on your head, or attach it to a helmet or handle bars, or stick it to a smooth surface with a suction cup. If you want to pause filming, there's a remote control you can wear around your wrist, and a special cable is included for recharging in the car. In short, it's a little camera with big possibilities!